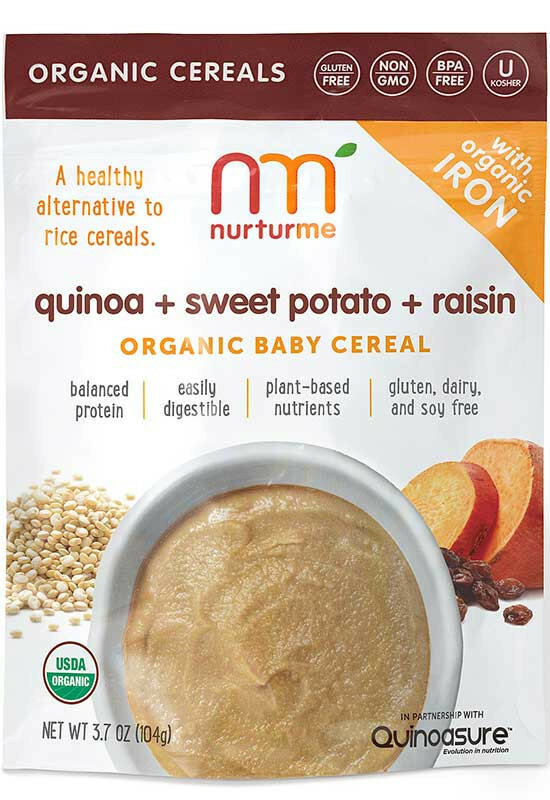 It’s the only quinoa-based cereal for infants with 100% naturally occurring plant-based nutrients, which aid in digestion, nutrient absorption and support baby’s natural growth pattern. The first and only infant and toddler food made of 100% pure super grain and a healthy alternative to rice cereal. Full of protein, amino acids, calcium, fat, B-Vitamins, and high in digestible iron. 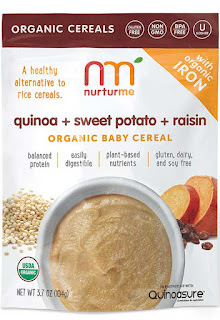 My son loves Nurturme Quinoa Cereal & NurturMeals! I love how easy they are to prepare and that they're organic and gluten free! I also love they they contain no added preservatives, sugars, or salts. They are the perfect first meal for my little guy!